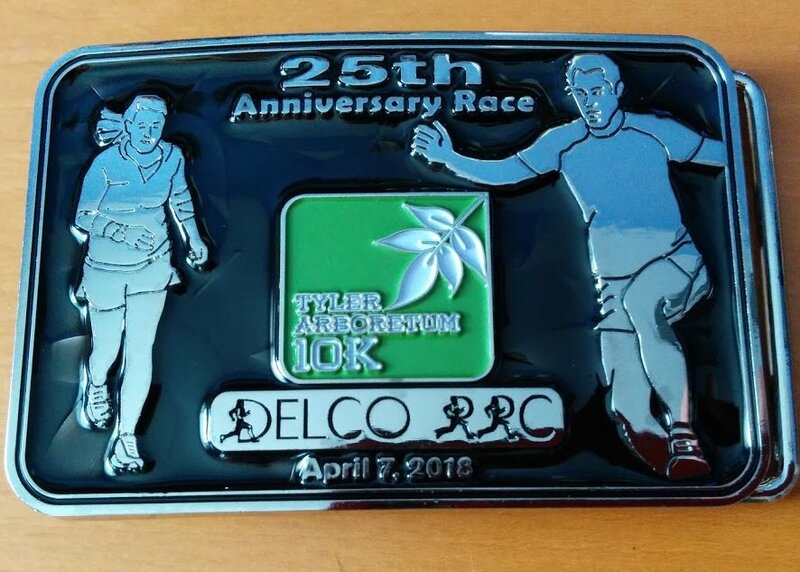 Delco RRC presented the 25th running of the Tyler Arboretum 10K Trail Run on April 7, 2018. 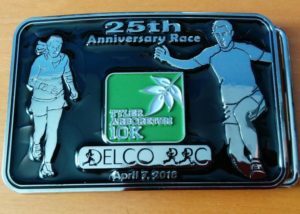 Perhaps the largest field ever to run the race started under cool and cloudy conditions. 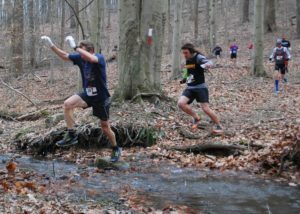 Eric Marshall, 33, of State College was the overall male and first finisher at 38:28. 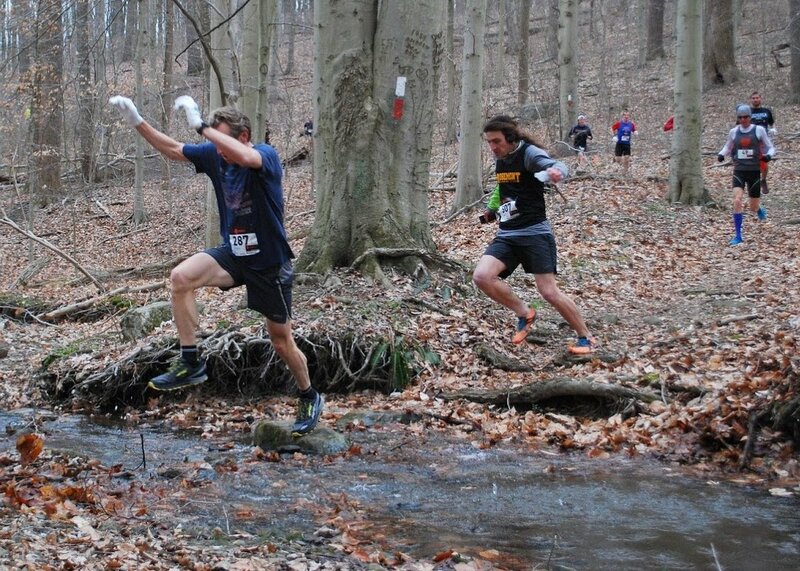 Overall female champion Dana Kolesar, 38, took home the overall female championship with a 47:10. 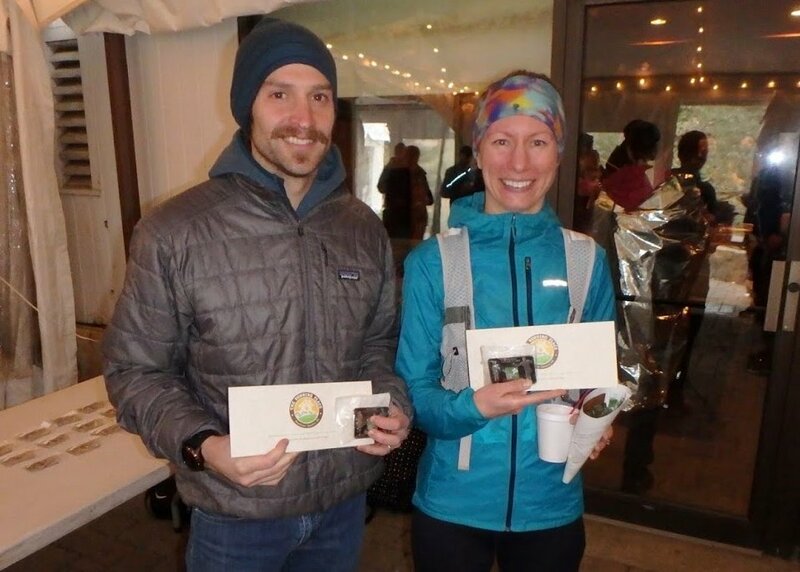 Both winners received a certificate for a free pair of running shoes, courtesy of sponsor The Running Place, and the coveted 25th Anniversary belt buckle award. The entire list of runners and age group winners can be seen at TylerTrailRun.com. Also posted there are links to 1500+ pictures of the runners, free to download and share. Special thanks to all our sponsors, including Nolan Painting, Optimum Physical Therapy, NorthCreek Nurseries, Claire Corcoran PC, and AmyInk.com.